Boneville disappeared back in 1993 having been one of Massimo Osti’s offshoot projects since 1981. 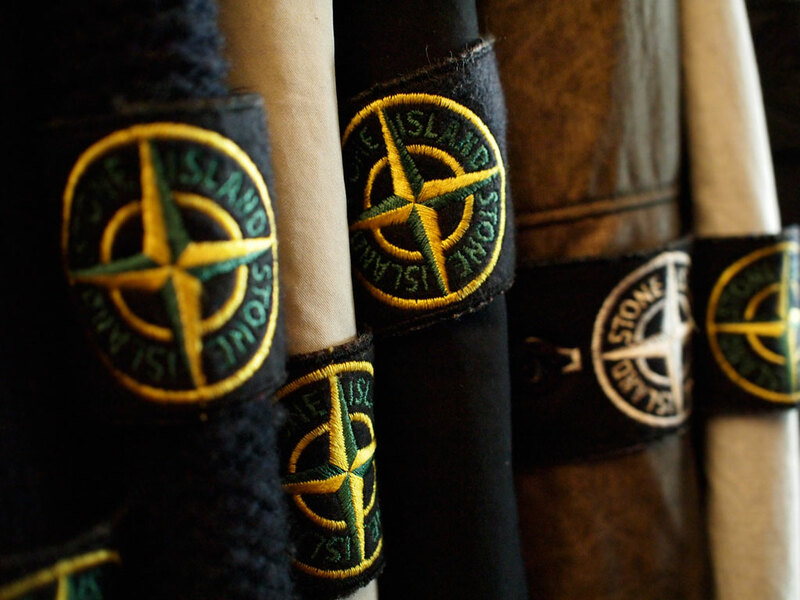 My memory of it was that it was cheaper and less “extreme” looking than many of the Stone Island and C.P. Company pieces of the day but it was always absolutely huge in terms of sizing. Whilst the passing decades have dulled my memory of individual pieces, I clearly recall their Look Books were always fantastic, shot on location in reportage style by Massimo’s wife, Daniela Facchinato. The new collections maintain this tradition with campaigns shot by photographer, Adrian Mesko. Boneville’s reappearance is due to avid Osti fan and long-term fashion industry businessman, John Sharp, who owns (amongst other things) Global Design & Innovation, the company behind MA.STRUM. John bought the Boneville brand back in 2012 and has been looking for the right team over the past two years to revive the Boneville name and carry on where Massimo left off, some two decades ago. Leading the team is Creative Director, Adi Wollaston, who has been involved in the industry for over 25 years working for brands like Timberland, Ted Baker, The North Face, Oliver Sweeney, Baracuta and Diadora. Adi is also the lead designer for MA.STRUM now so is likely to be very busy! The intention with Boneville is not to merely replicate the original work but to take the spirit of innovation and research-lead design forward. And from what I saw last week, I’d have to say they have made a very impressive start. For the new season collection, there is a capsule range of 13 pieces, comprising outerwear, a cardigan, shirt, polo/t-shirts and a utility trouser. Highlights include the water resistant Marina Parka in vibrant orange and the Sharp Engineer, a washed cotton jacket in classic engineer’s design which can transform into a (Boneville branded) duffle bag. There’s enough in the Spring collection to leave you wanting more and, fortunately, the AW’14 collection delivers. The first thing to note is the collection is a lot more extensive and certainly broader than I would have expected featuring a full spectrum of jackets, knits, sweats, shirts, t-shirts, trousers, jeans and shorts across two lines; Boneville and B.N.V. Sporting Goods. No Navy Arctic as yet but it seems highly probable that it will be reappearing in due course. In keeping with tradition, the designs are definitely targeted at the more adult/discerning consumer, especially compared to MA.STRUM which seems to be increasingly moving towards a more youthful, active-sports audience. There is the expected heavy maritime/military influence across a mixture of both traditional and contemporary performance fabrics with the emphasis on keeping the wearer warm and dry. Jackets with names such as Harbourmaster, Navigator, Quartermaster and Pilotmaster all emphasise the theme. Whilst some designs are relatively understated on the surface, the detailing and imagination that has gone into the pieces is excellent. A stand-out element of the collection is the ‘KIT System’ which is essentially a modular approach allowing pieces to be linked, updated, and customised (for example, in some cases buttons and collars can be removed/added) both within a specific season and across future collections. The most obvious example of innovation is in the reinvention of the rope system for attaching liners – ingeniously simple yet seemingly very effective. I understand Lorenzo Osti was deeply impressed upon seeing the straightforward brilliance of it the first time he saw it. Basically, there is a single Elasticated “rope” threaded around the inner of each piece (it looks a bit like a very thin climbing rope) which just winds round the attaching button/hook in a far easier, faster method than the laborious looping of the original. A perfect example of research and innovation in action – I suspect Massimo would have been proud. Many jackets can use the knits as liners in addition to there being specific liner pieces within the range. Anyone building up a Boneville collection will have multiple permutations to play with after a few seasons. Some pieces are reversible; one striking garment is the Launchman, a down-filled fully reversible jacket based on the classic M1 jackets. In homage to original M1, the Launchman features a face side in a muted tone and contrasting reverse face in a high vis colour, in this instance a dark navy primary face and bright yellow reverse. The Launchman can be seen in an exclusive image from the AW14 campaign below. Other jacket highlights include the Pilotmaster, a vivid orange rubberised cotton jacket that has been heat-sealed to ensure it is fully waterproof, complemented by large rubber Osti buttons and magnetic pocket snap fastenings; and my personal favourite, the Navigator, a beautiful carbon-coated cotton motorcycle-style belted jacket with a detachable fur collar. There are over 15 jacket styles as far as I could count, with most coming in a couple of colour variations. Portugal appears to be one of the main sources of production although I believe some pieces will also be made in Italy and the Far East. Pricing is very competitive, especially considering the amount of work which seems to have gone into each piece and given that some are effectively a two in one garment. Indicative UK RRP for the jackets ranges from £450-£995 with the majority being around the £500-£600 mark. Knits range from £165-£399; Sweats are around the £180-£225 price point. Sizing is from Small to 2XL and relatively generous based on the pieces I tried on. Additionally, there is a new joint Boneville and MA.STRUM store due to open in London (52 Artillery Lane, E1 7LS) between Liverpool St station and Spitalfields in early April with a private, invite-only launch event for both brands taking place this week. The SS14 collection will be available exclusively through the new shop and via the Boneville webstore. The intention is that for the AW14 collection, a limited number of UK stockists (probably around ten) will be carefully selected. Any new venture always takes some time to settle down but for a first full season I would expect many of us will find more than one or two pieces that we’d happily add to our collections. Osti’s legacy seems to be in good hands and I’ll certainly be looking forward to seeing how the brand and collections develop in the seasons ahead. Thanks to Jan and Johnny at Boneville for their assistance with this article. A RM66 production for Osti Archive. This entry was posted in Boneville, Review. Bookmark the permalink.